67 Blankets for Nelson Mandela Day celebrated their sixth year of knitting the country together in warm displays around the country by creating Magical Moments 4 Mandela. 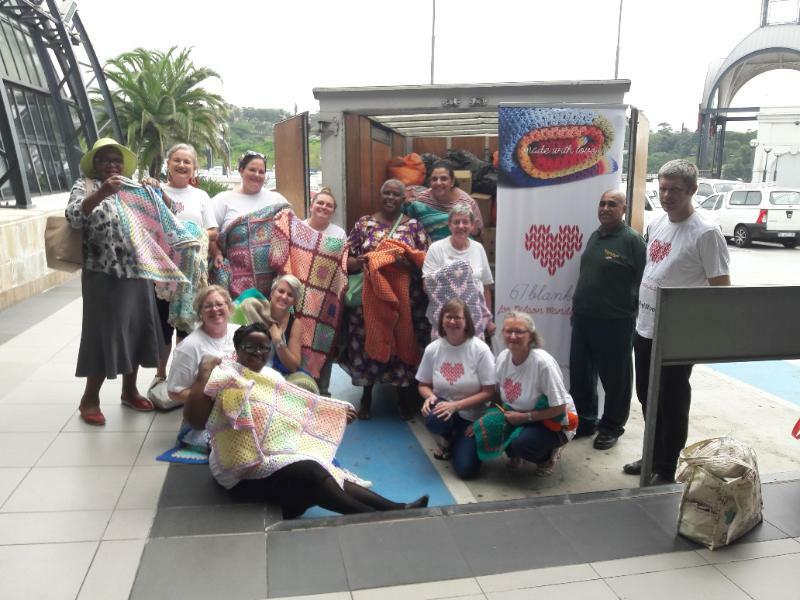 The 67 Blankets for Nelson Mandela’s Magical Moments took place on March 31, 2019, where all blankets made this year were exhibited and laid out from 09h00 to 13h00, simultaneously at various venues around the country. 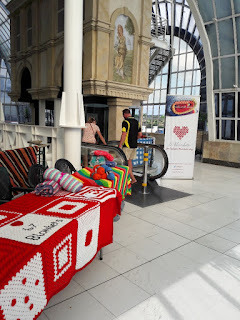 Following the Magical Moments 4 Mandela, the blankets will be distributed to those in need. This year the blankets will be delivered earlier to ensure that recipients are kept warm from the first chilly morning to the last late frost. 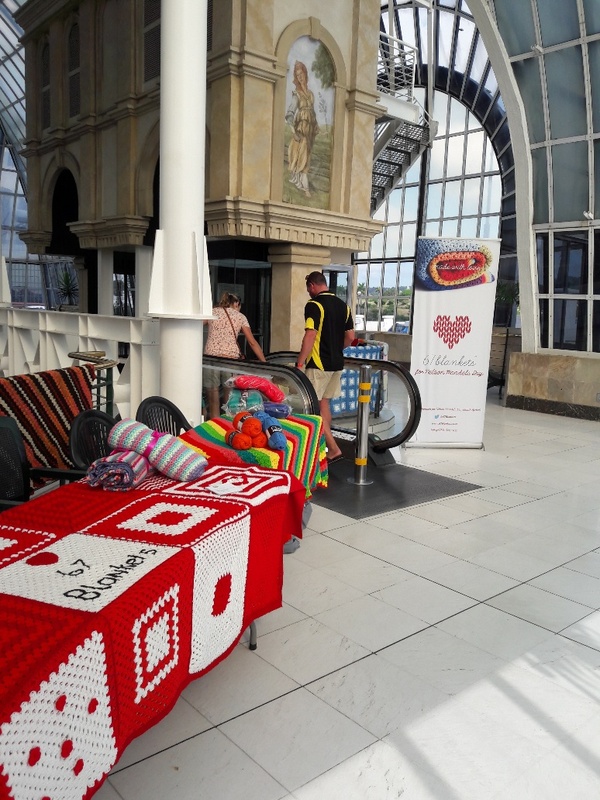 Many of the blankets will be headed for Mozambique to assist flood victims. 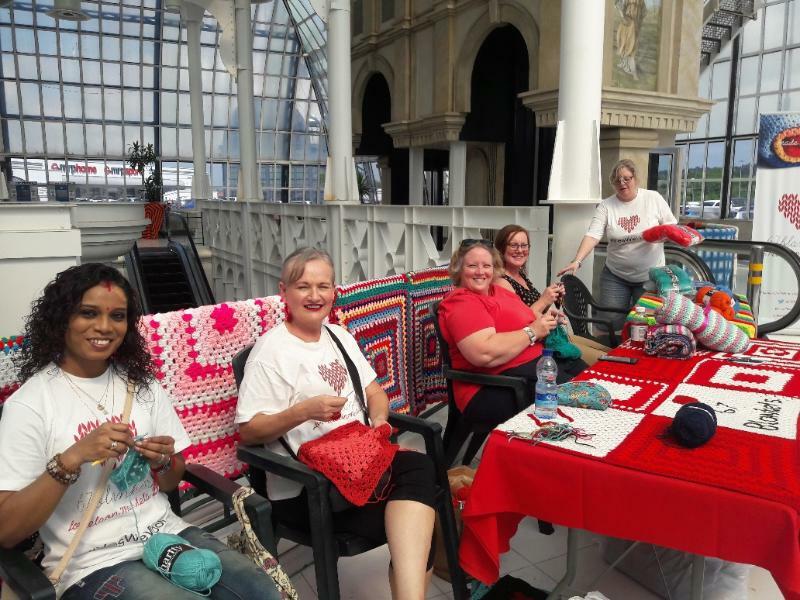 “We had a great start setting up in the Dome at the Pavilion,” says Susan Eslick, one of the KZN ambassadors for 67 Blankets who organised the Durban event together with fellow ambassadors Franki Hills and Michelle Taylor. “It was wonderful to be together with the team for a morning: Hayley, Natalie, Chantal, Terri, Angie, Tracy, Janice, Edna, Nana, Nana’s friend, Rhosta, Jacqueline, Susan, Franki, Michelle, Lynn, Shelley, Samantha and Martin. “We had some people dropping off blankets and things for the people of Mozambique and others spending the morning with us. At 10 am sharp we all stood and sang the National Anthem and it was very endearing to see the response of the shoppers arriving. “Great to hear Gordon Road Girls School have been doing some knitting and crocheting too! We look forward to working with a growing number of Durbanites for such a great cause. We were overwhelmed with the response for Mozambique, the majority collected at Tracy Grant in La Lucia will leave this week to be sorted at Steyn City (67 Blankets headquarters),” she adds.